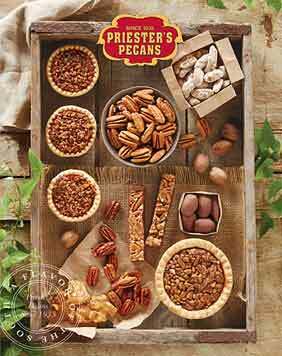 A taste tempting combination of Southern specialties gathered up in Priester's signature red and gold gift box. 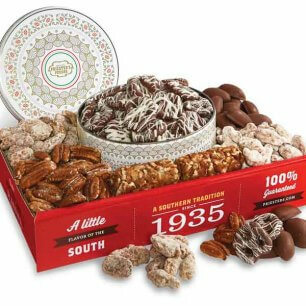 Open it to find Pecan Divinity, Pecan Fiddlesticks, Pecan Brittle, Milk Chocolate Covered Pecans, Roasted & Salted Pecans, a Pecan Log, and Praline Pecans. 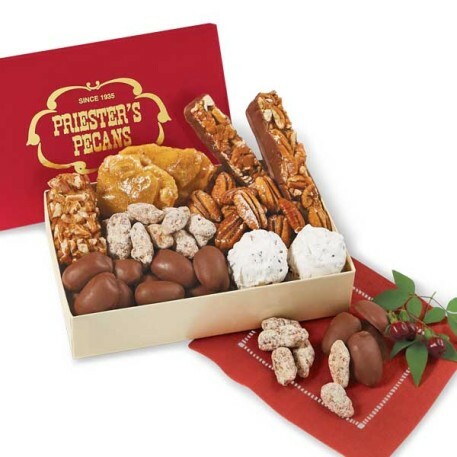 Rec'd this thru mail as a Christmas gift and it is full of all the best of Priesters. Very fresh and a lot for the price. 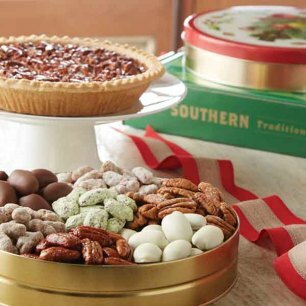 Visit the store I Fort Deposit AL frequently and love their products and unique items in gift area. 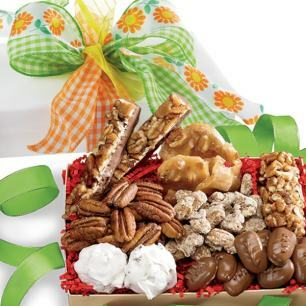 I purchased this as a gift for my aunt and she absolutely loves it! She actually confessed to hiding it so she doesn't have to share with anyone!